In website builder WebWave CMS creating multilingual websites is as easy as a pie. Tools, that we share, allows you to make a backup copy of a certain language version of a website and translate chosen content. If needed, you can build additional language versions also from scratch. In this article, you will learn how to build a multilingual website. In order to create an additional language version of a website, enter WebWave builder and at the top of it select "+" next to a list of languages versions. By ticking a box next to "Don't copy content", you will create a new website from a scratch. 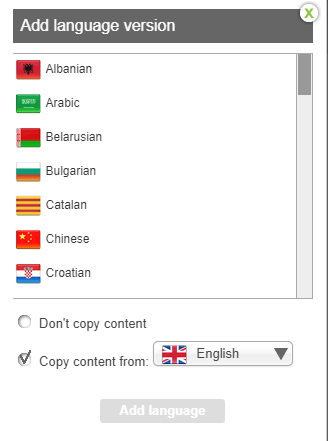 By ticking a box next to "Copy content from", new language version will be created as a copy of chosen language version. What's left to do is translate its content. 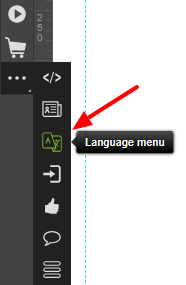 In order to allow users to easily choose a language version of your website, add a language menu from a toolbar on the left side of the builder. The default language of your website is a language version of a website which will be displayed when the user enters it. If you linked to your website a domain yourwebsite.com and set English as a default language, user who enters it will see an English version. Other language versions will be displayed under http://yourdomain.com/language, np. german version will be available under http://twojadomena.pl/gr. 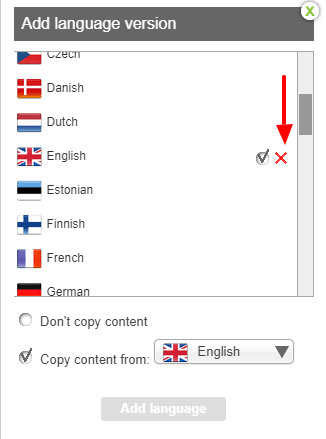 To delete a language version of a website, go to languages list and select red "x" next to the chosen language. 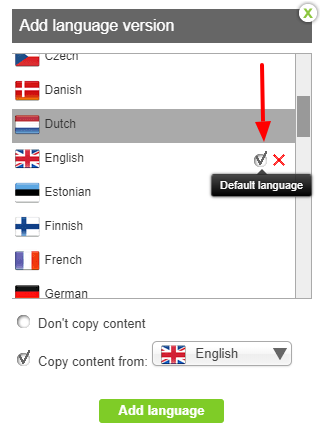 If you delete a default language, another will automatically replace it. When you create an additional language version of a website, keep in mind that changes made on them will not affect other versions. The best practice is to firstly focus on website style, and only after it's done, add content and language versions. What's left to do is translate content. You won't have to spend hours on editing each version style.